Dan Alva’s artistic practice derives from a need to find a space where he can let his creativity flow, a place where he can make and break the graphic design grid as many times as he wants. Guy Hepner and The Tax Collection are pleased to present his first solo show starting on August 16th in the New York City gallery. 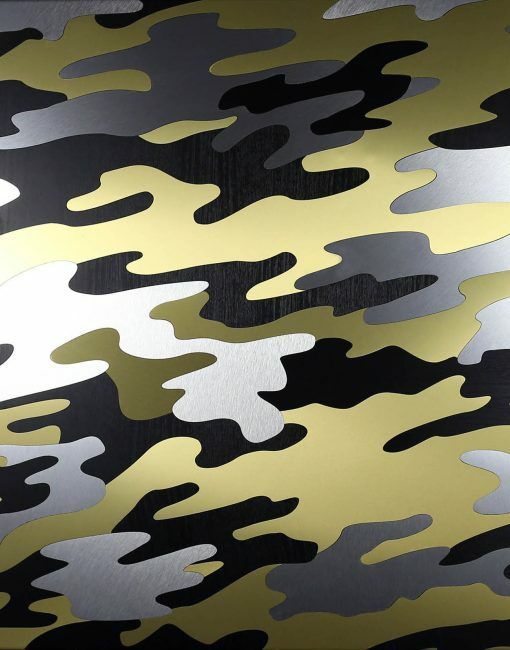 The exhibition will showcases pieces from two of his collections: Brandalism and Camo. 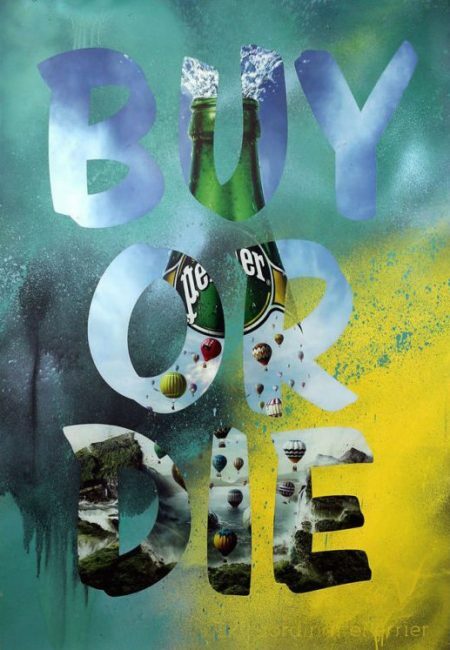 His background in design and advertising ties into his art both in form and content, as can be seen particularly within the Brandalism series. These unique works, created using corporate ads that Alva tears down from bus stops and repurposes as the canvases, see a mixture of traditional advertising language as well as pop culture icons and symbols superimposed onto the image underneath. The final effect is that of a push and pull between corporate and individual; a dance that reveals and hides aspects of the original ad, thus creating a new work in itself that satirically comments on and denounces the branding messages on which they are made. While he never strays far from his graphic roots, many of the techniques used are in direct contrast to the traditional designer tools of photoshop and illustrator; most notably his use of a perforated spray can to paint over the ads. This method forces the paint out of the pressurized can, giving Alva only five to ten seconds to use that intensity to paint over the image. In doing so he frees himself of any linear constraints and lets the color flow as an extension of his arm. Through trial and error he has learned to control the paint and create specific effects yet there is still a high degree of chance involved in this technique, an aspect the Alva is particular akin to as it acts in direct opposition to the detail oriented corporate work he produces. When selecting the underlying canvas for these works he veers towards the advertisements of larger corporations and multinationals as he believes they have a more universal message that fits better with his own aesthetic sense. 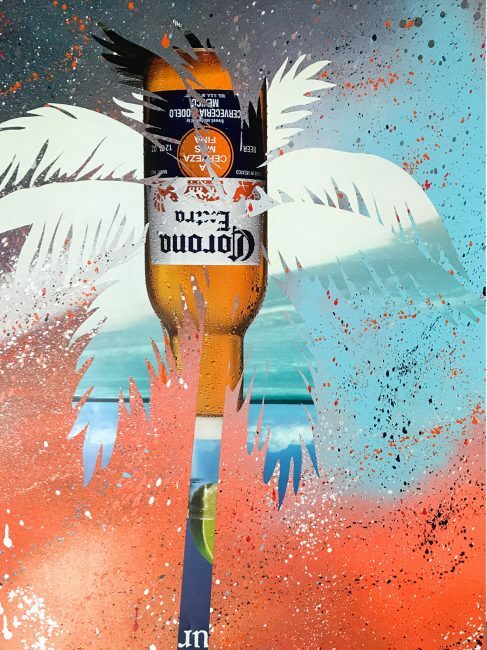 Having worked on many national and international corporate advertising campaigns there is a sense of coming full circle when he reappropiates the artwork and makes it his own, forcing a collaboration of sorts between himself and the brand and creating a place where the two facets of his persona con coexist together. 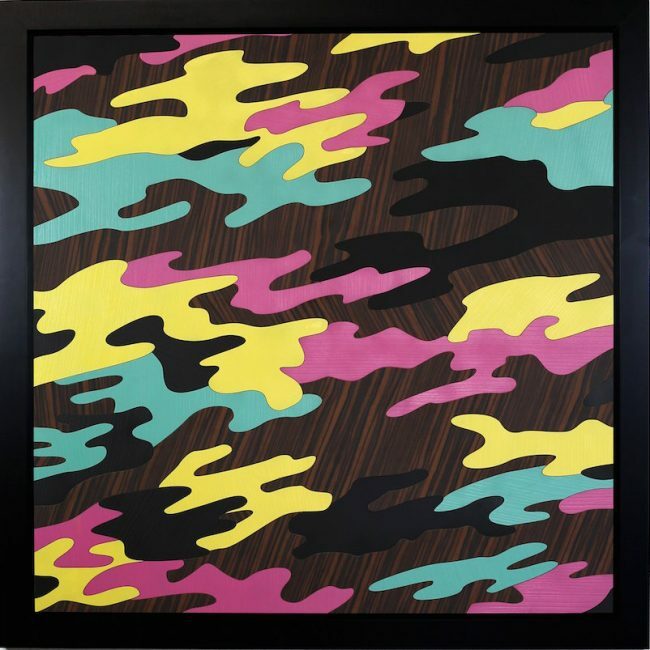 The other works presented in the exhibition are his Camo pieces; a series that references not only military shorthand, by using military jargon as the names of all the pieces, but also touches upon the current trends that can be seen in fashion and design. These works are made by laser cutting sheets of wood or metal into the cameo pattern previously created using illustrator. These pieces are then reassembled in a puzzle-like fashion and glued down by Alva onto the backboard, thus bringing the virtual design to life. Once placed within a frame and hung on the wall the works become part of the age-old question of is it art or design? When creating all of his work the main focus for Alva is that of the aesthetic outcome. 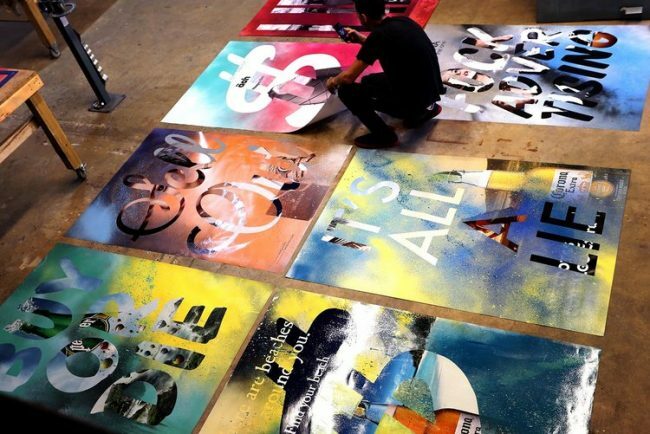 He plays with texture, overlaying text on image, art on photography, and contrasting colors and shapes, all with the intention of creating a visually appealing product. 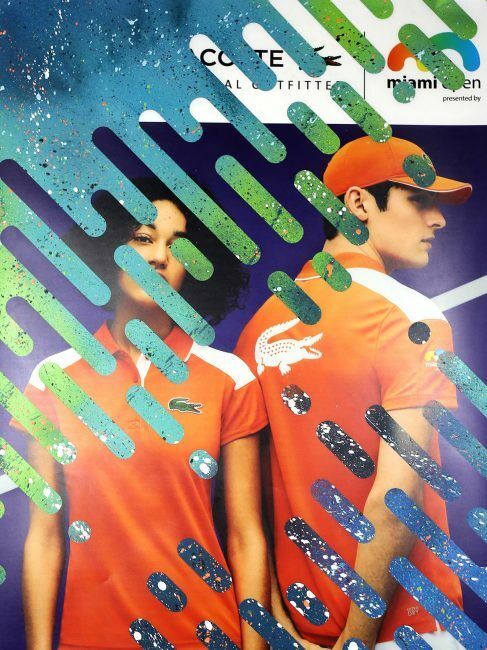 While an advertising campaign’s goal is to make the consumer feel a certain way and to therefore entice them to buy, when Alva is in the studio his end goal shifts to creating work that is purely visual pleasing. CONTEMPORARY ART will be on view at 520 W 27th Street from August 16th through September 28th.